Alayna Knarian is a student at Grand Valley State University and an ISA Featured Blogger. 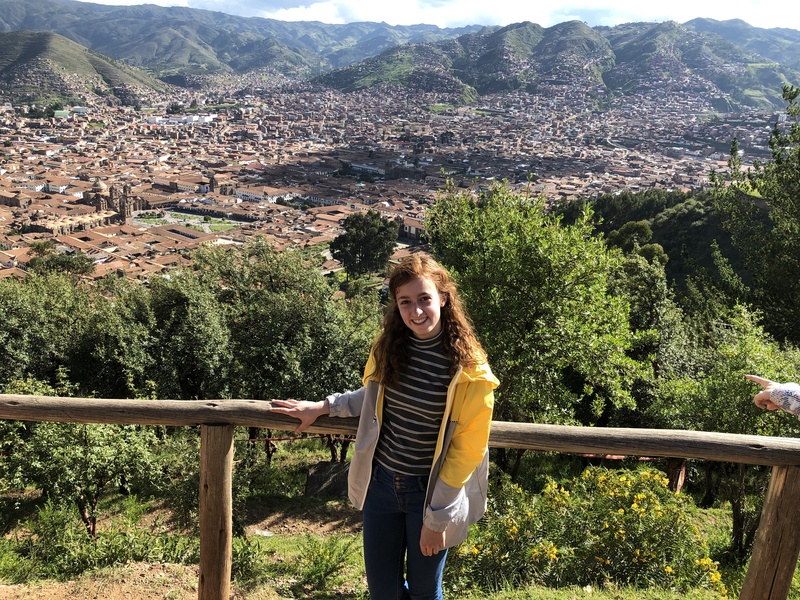 She is currently studying abroad with ISA in Cusco, Peru. I went through all the same experiences – internship applications, sleepless nights, leadership experience, volunteer experience – you name it. I put together what I thought is a pretty impressive resume… but it wasn’t until I added two little words to it that I felt I could be a perfect job candidate. me so much to love, to remember, and to learn. Just adding the words “semester abroad” to my list of experiences says a lot about me. It shows that I’m adaptable to new environments, that I value cultural sensitivity, and that I’m eager to try new things and become more well-rounded. That’s just the beginning. While it’s great that my resume will display all of those qualities through just those two little words, there are more ways that adding my experience to my resume will help me snag the job. When my interviewers ask me about my semester abroad, I can vouch for my problem-solving skills by telling them how I survived losing my luggage in a foreign country. I can prove my communication skills by explaining to them how I managed to use a language I was still learning to get where I needed to be and do what I needed to do. I can demonstrate my positive attitude by showing them how despite all the minor hiccups, big changes, and everything in between, I made the most of my semester and learned as much as possible. When I signed up to study abroad in Cusco, Peru, I wasn’t doing it for the resume-building potential. I was doing it for the experience, the challenges, the opportunities, the adventures, and the memories. Now that I’ve spent some time improving and adjusting to my new lifestyle abroad, I realize just how helpful studying abroad is for my career. I can’t wait to share all the lessons I learned abroad when I hand employers my resume.